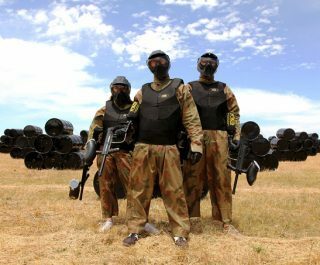 Delta Force Paintball West Glasgow is located just a few miles from Junction 29 of the M8, making it easily accessible to paintball players from the city, Paisley (Scotland’s largest town), Greenock, Houston and further surrounding areas. 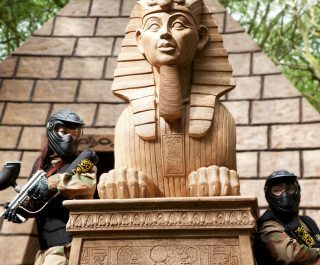 As you will probably notice, this centre is very close to the Glasgow International Airport – in fact you can easily see the MASSIVE pyramid at the paintball centre from the windows of aircraft flying in and out of the airport. We often joke with guests that they could drop in sometime using a parachute – a joke of course! 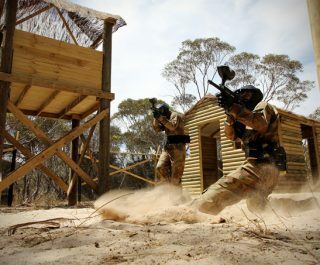 Paintballing in Scotland is hugely popular, with more and more Scottish paintball players visiting this paintball centre each year – well, it is awesome after all! 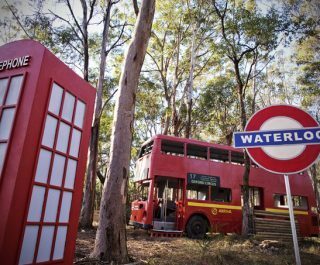 With 6 action-packed game scenarios, including 2 double-decker buses, a pyramid and a large fort, the Delta Force West Glasgow paintball centre provides a challenging and enjoyable day for customers of all ages. Paintballing in Scotland at it’s very best! 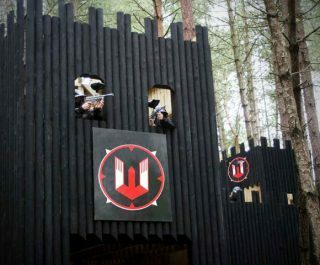 Our West Glasgow paintball centre has been awarded with 4 stars by Scottish Tourist Board! 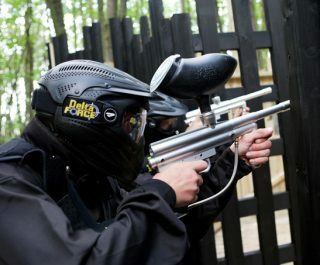 Book the West Glasgow Paintball Centre now by visiting the paintball booking page or calling our events team 24 hours a day, 7 days a week on 0203 869 9301.